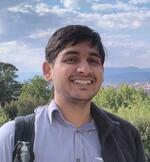 Rohit Gurjar is currently a postdoctoral fellow at Tel Aviv University, working with Amir Shpilka. His previous postdoc was at Aalen University (2015-16) with Thomas Thierauf. Before that he was at Indian Institute of Technology Kanpur for 10 long years for his B.Tech.-M.Tech. (2005-10) and Ph.D. (2010-15). He was very fortunate to have Manindra Agrawal and Nitin Saxena as his Ph.D. supervisors. His Ph.D. thesis was chosen for the ACM India Doctoral Dissertation Award, 2017. He is in general interested in theoretical computer science, and in particular in computational complexity and derandomization. Some problems on which he has worked are polynomial identity testing, perfect matching, and matrix completion. He likes hiking, cycling and listening to music. 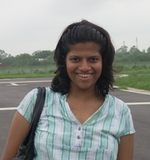 Arpita Korwar is a Ph.D. student at IIT Kanpur advised by Manindra Agrawal and Nitin Saxena. Her work has also been influenced by Somenath Biswas. Her interests are in the theoretical aspects of computer science, especially in using algebraic techniques for computational complexity. Currently she is working on polynomial identity testing and arithmetic lower bounds with Hervé Fournier and Guillaume Malod at University of Paris Diderot. She visited Thomas Thierauf at the University of Ulm a couple of times during her Ph.D. studies. She likes the outdoors and sports! 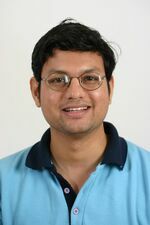 Nitin Saxena received his Ph.D. from the Indian Institute of Technology Kanpur in 2006. He was truly fortunate to have Manindra Agrawal for his supervisor. He also spent stints at Princeton University (2003-04) and at the National University of Singapore (2004-05). He was a postdoc at the Centrum voor Wiskunde en Informatica Amsterdam (2006-08) and a faculty at the Hausdorff Center for Mathematics Bonn (2008-13). Nitin's long-term interests are in algebra-flavored computational complexity problems. He has contributed to primality testing, polynomial identity testing, polynomial independence, polynomial factoring and polynomial equivalence problems. Some of these works have been awarded the Gödel prize, Fulkerson prize, CCC best paper (2006), and ICALP best paper (2011) awards. He enjoys interacting with enthusiastic young researchers. In his spare (& non-spare) time he enjoys listening to music, watching movies, reading non-fiction, swimming and travelling.